The keen eyed amongst you may have already noticed that Hans’ Milieu has, once again, undergone yet another change. This time, however, the change is not merely cosmetic. For the last several months I have been toying with the idea of truly making my blog, or should I say website, my own. That time has finally come. 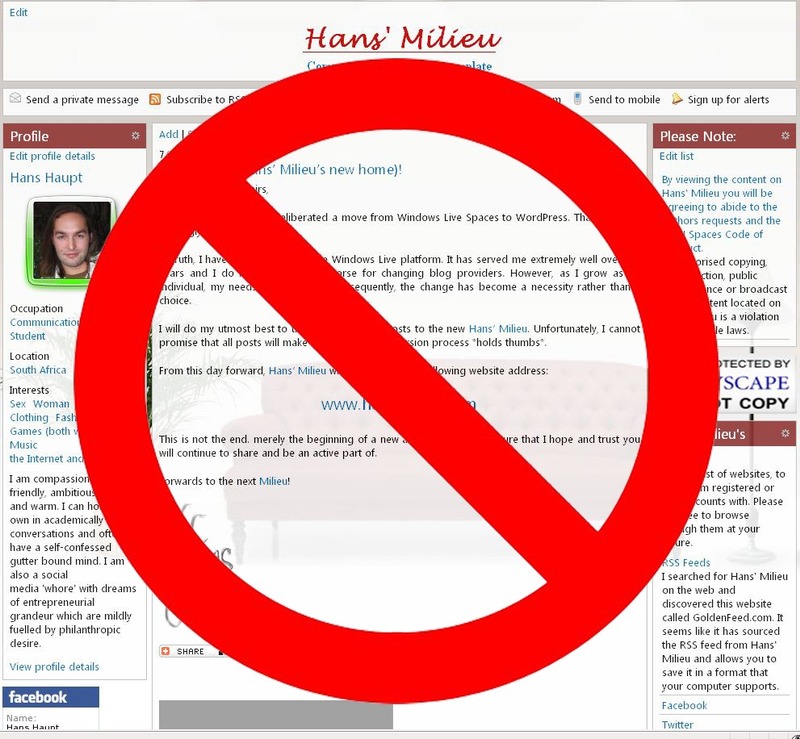 From Hans’ Milieu’s humble beginnings with Microsoft’s Windows Live Spaces back in 2005, all the way to the eventual progression of my blog to the WordPress platform last month, I have always wanted to make my blog my own. However, I did not have the courage to do so; no matter how many times my intuition whispered ‘relax, just do it’. That is, not until late last week when, in the spur of a radical moment, I did what I have been longing to do. With absolute confirmation having only arrived early yesterday morning, my envisioned plan for my website has finally become a reality. I am immensely proud to announce that now, after almost four years, I officially and finally own Hans’ Milieu (© 2009 Hans Haupt, All rights reserved) as well as the domain www.HansHaupt.com. I still cannot get over the fact that I now have my own, self-maintained island of information, that anyone on the Internet can holiday on. It truly is an amazing feeling! Consequently, I now have absolute freedom to do whatever I want with my website. That said, I do have a myriad of ideas bouncing within the confines of my cranium, waiting to be unleashed on the unsuspecting masses. However, I do have a lot of learning to do, both in terms of programming skills and my Masters, before I will be able to actually gain a comprehensive understanding of how to nurture my website into all that it can be. 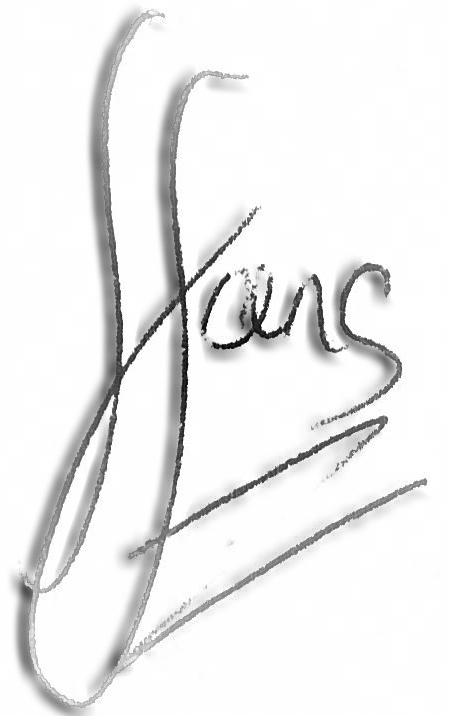 With that said, the first aspect on my new agenda is creating a logo and potential slogan for Hans’ Milieu. So stay tuned! Lastly, I would just like to give a quick shout-out to my parents and our gracious Lord God. If it was not for their continued love and support, through both the good times and the bad, Hans’ Milieu would most probably have been shelved several years ago. They have given me the strength to ‘Relax and just do it’! Thank you for everything that you do, I love you!